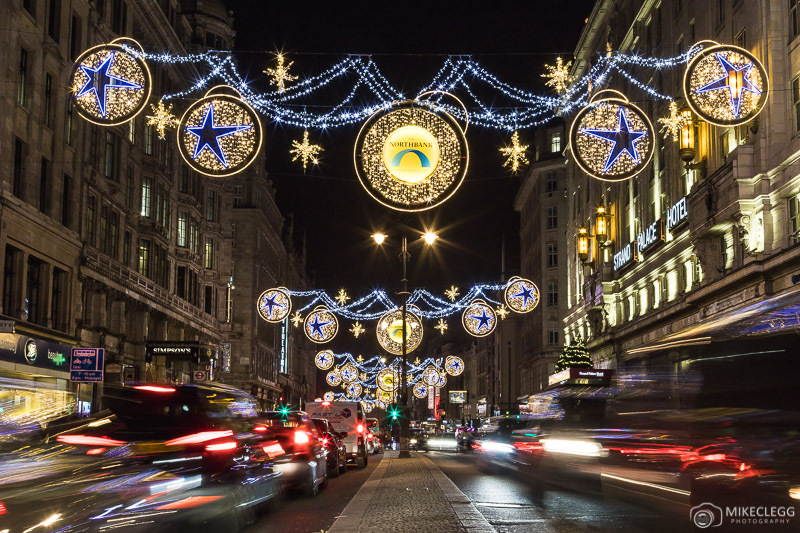 London becomes incredibly festive around Christmas and all throughout central London you’ll find streets with stunning lights and decorations, as well as highly decorated shops. 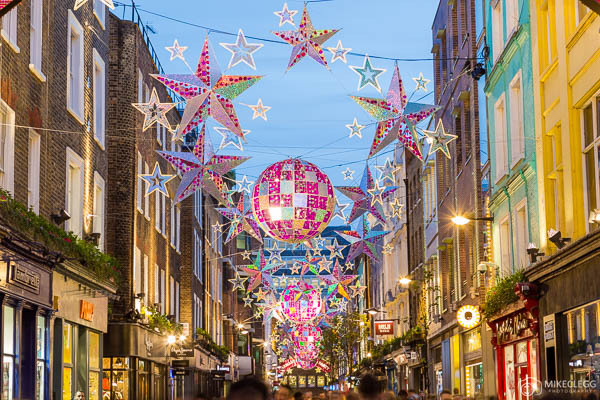 Unlike many major cities, London also mixes it’s decorations up and you’ll find many streets, such as Carnaby Street and Regent Street has a theme each year. 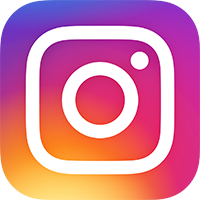 Pictures at Christmas also seem to be very popular on Instagram so make sure you check these spots if you visit during this time. For techniques read Photography Tips: Christmas Markets and Lights. 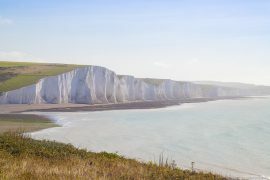 You may also be interested in top Instagram and Photography Spots in London which has lots of locations around the city that are nice to see all year round. 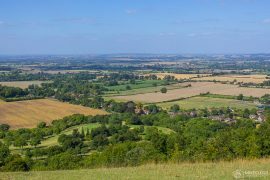 So, wondering where you should go during your festive visit? 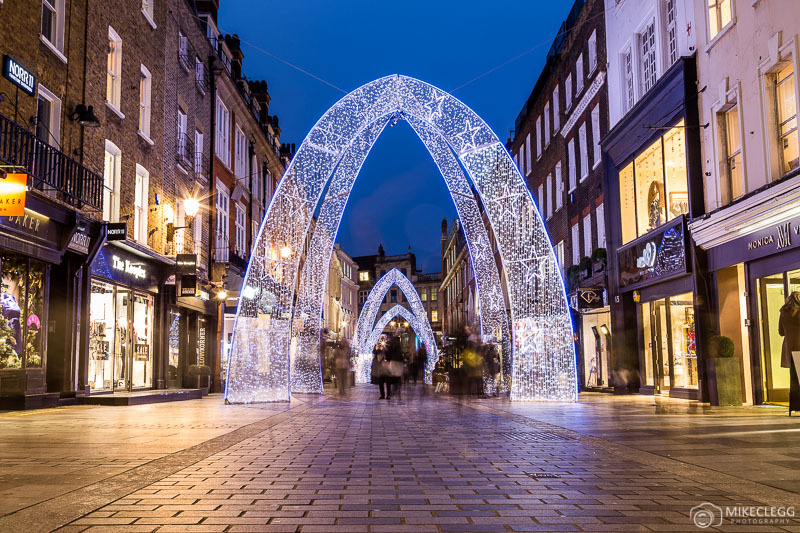 Here are the best pictures spots in London for seeing, enjoying and capturing Christmas decorations and lights. Each year Oxford Street get these snowball type decorations. These along with the constant flow of double-decker buses make for great pictures. Along Oxford street you’ll find various islands in the middle of the road so you can easily get pictures whilst staying safe. This little shopping street has style and the festive decorations change each year. The particular photograph below is from when the decorations were in a party theme, however, most years you’ll find them fun and colourful. 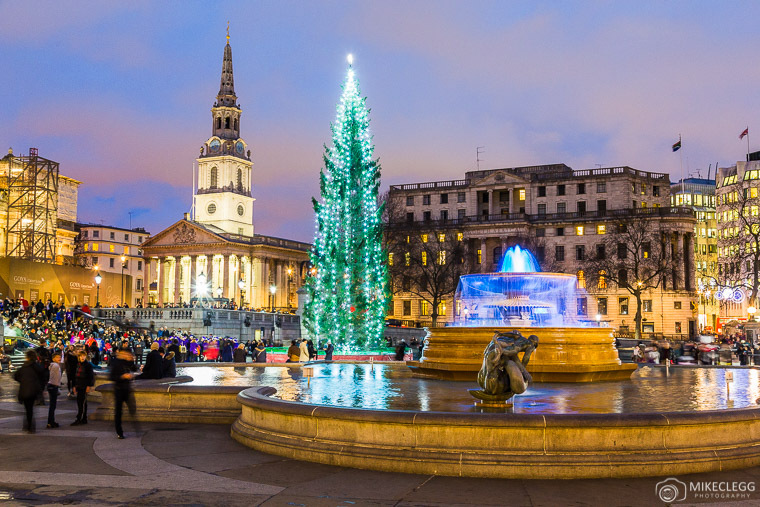 The main Christmas Tree in London is at Trafalgar Square and has been donated by Norway since 1947. It really adds some magic to this amazing square. When taking pictures try use the fountains to your advantage for your composition, such as including reflections, leading lines etc. Note the Christmas tree arrives around early December. 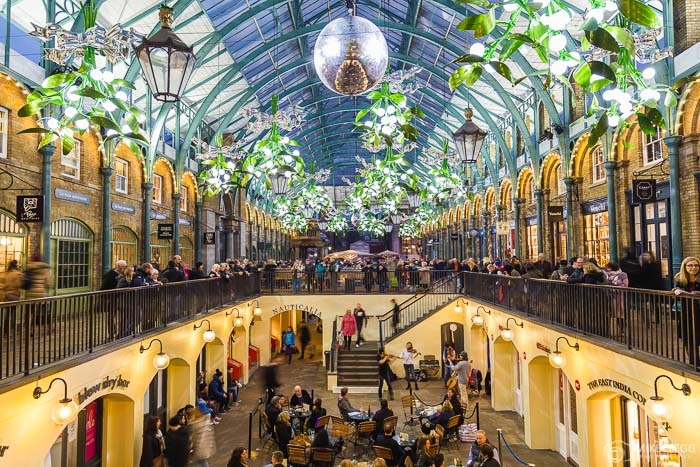 Covent Garden is a top spot to visit during your trip to London. The decorations you’ll find at Xmas are really beautiful and compliment the design of the building. As well as looking good Covent Garden is a great place to shop, get gifts, or relax at the restaurants and bars. 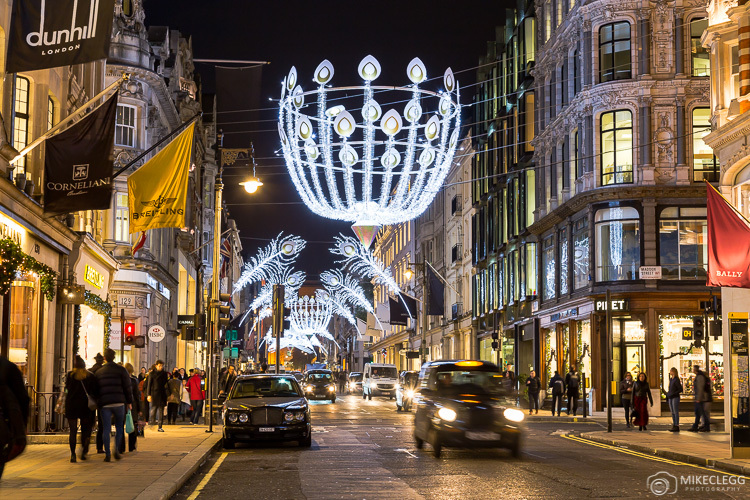 This high-end shopping street has some of the most beautiful decorations at Christmas. Towards the south the road bends allowing you to get a photograph almost directly up the road. The decorations on Regent Street change every year and can often be seen representing a movie. Similar to Oxford Street you’ll find an Island in the middle of the road allowing you to capture pictures safely. You could also consider capturing light trails of buses and traffic going past in your photograph too. 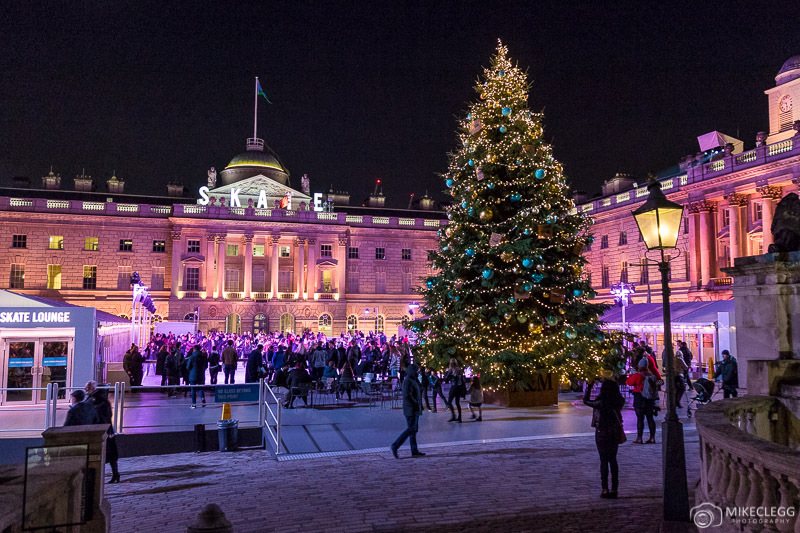 Somerset House is located just off the Strand east past Trafalgar Square and as well as a wonderful festive atmosphere you can also skate. Not far from Somerset House is the Strand street, and due to the centre island running all the way along it makes for easy pictures. 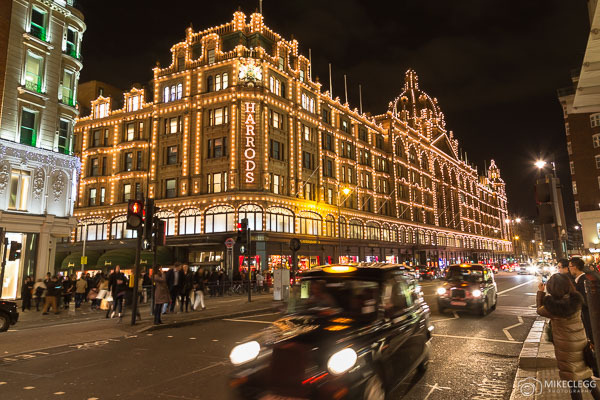 Harrods is possibly the winner of the most decorated Christmas building in London. It is elegantly dressed in thousands of lights and really makes you want to go inside. 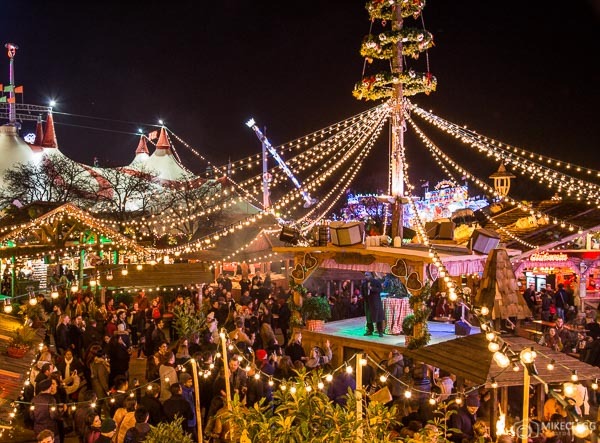 Winter Wonderland is the main Christmas Market in London and it’s huge. 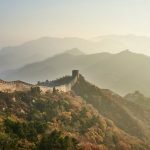 There are lights, rides and interesting features everywhere you look, so you should be able to get some good Instagram pictures during your visit. 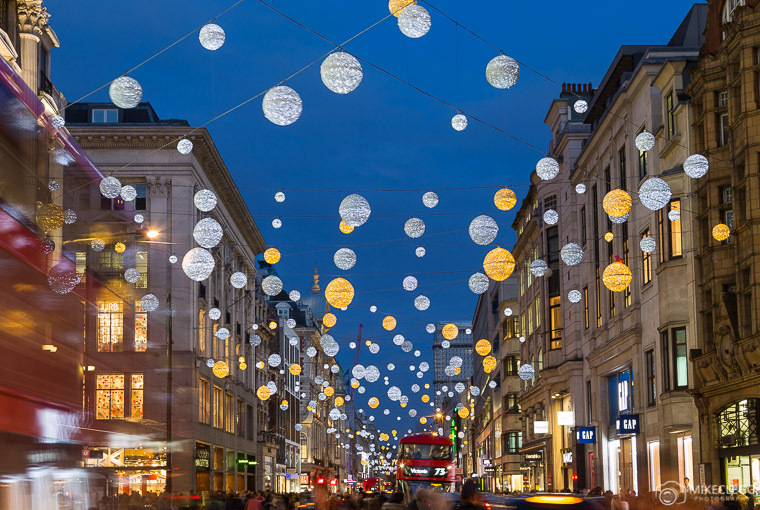 Right next to Bond Street station you’ll find South Molton Street which has Christmas lights like below. These are pretty good for taking selfie type pictures as you stand underneath them. There are various other nice spots around the city for taking photographs, or just to admire the lights. Fortnum and Mason – Beautiful decorations to buy as well as a stunningly decorated staircase. Leicester Square – Not the easiest to photograph, but there are plenty of lights here and a Christmas market too. Seven Dials – Just up from Covent Garden. Also a nice place for shopping. St Christopher’s Place – Beautiful decorations, narrow alleyways and lots of restaurants. A great spot to check out. Need a hotel in London? Luxury: Shangri-La At The Shard Hotel – The Shangri-La is located in the Shard, London’s tallest building. 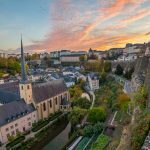 It provides incredible views of the city and as well as beautiful rooms and fantastic facilities. For other luxury hotels visit 10 Beautiful Luxury Hotels in London. 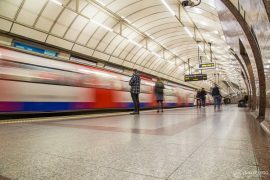 Hostel – Wombats City Hostel – A great hostel in a good location not far from Tower Bridge. The hostel has a large bar and decent rooms. Mid-Range – The Mad Hatter Hotel – Located close to the River Thames and other attractions this hotel would be a good choice during your visit to London. The hotel also has beautiful rooms and has great reviews from previous guests. 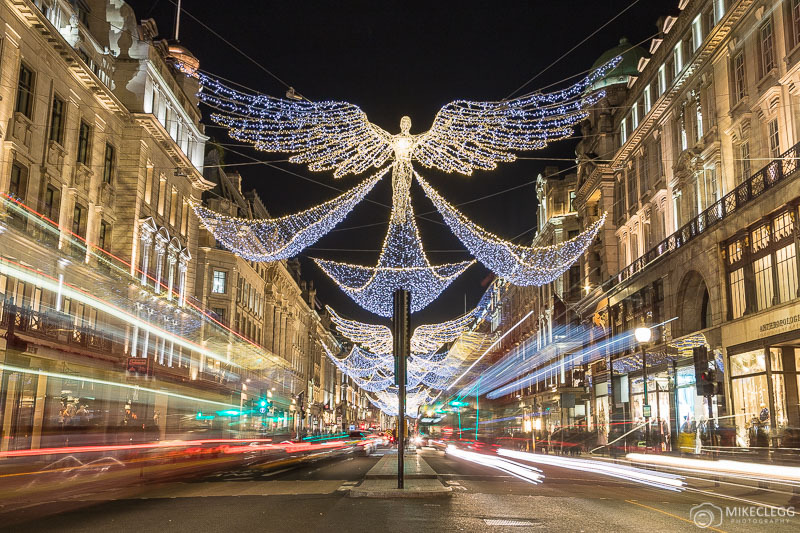 Hey Buddy!, I found this information for you: "Christmas in London: The Best Places to See and Photograph the Lights in 2019". Here is the website link: https://www.travelanddestinations.com/christmas-london-places-see-photograph-lights/. Thank you.